Clerk working at the computer in the office. Workplace businessman. Manager in the office. 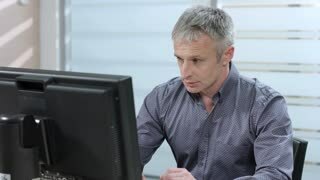 Tired manager working at a computer. Headache. Clerk works a lot. Surprised clerk. 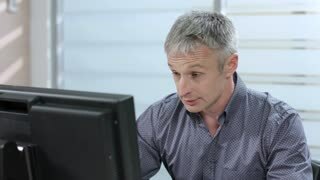 Manager works on a computer. 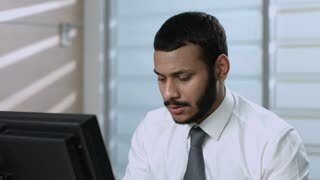 Black man in suit playing games in tablet. 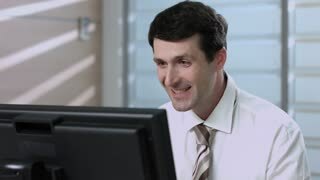 Enthusiastic young manager with emotional interest holds computer tablet against white isolated background.